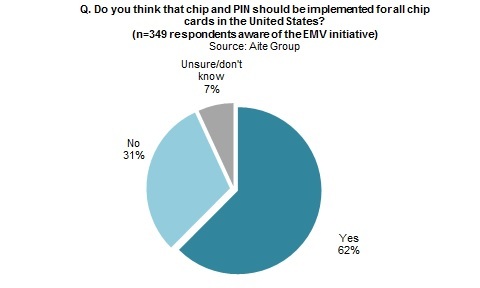 U.S. merchants are largely in favor of credit card PIN verification—a point of contention with issuers. Boston, July 19, 2016 – EMV transactions now dominate card-present payments across the globe, except in the United States. With the liability shift in October 2015, the value proposition for merchants changed as they became responsible for chargebacks on any transactions that used an EMV card in a non-EMV-capable point of sale. To add what they believe could be more protection against fraud, merchants are pushing for credit card PIN verification. But would chip and PIN really increase security and reduce fraud for merchants? This report explores the factors involved in implementation of PIN as a credit card verification method, identifies the impact and challenges, and provides quantifiable data related to merchant and issuer perceptions of the issue. It is based on 361 Aite Group telephone surveys with managers of retail merchants between April and June 2016, and on approximately 40 interviews with leading large retailers, merchant acquirers, processors, payment service providers, terminal manufacturers, and card issuers. This 34-page Impact Report contains 19 figures and seven tables. Clients of Aite Group’s Retail Banking & Payments service can download this report. This report mentions Mastercard and Visa.